Edging is a perfect way to define your planting beds and keep them separate from your lawn. 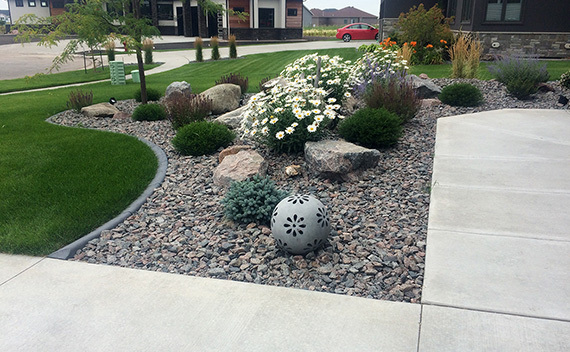 It also pulls the different aspects of your landscaping together. Rock and mulch are great for limiting weed growth and maintenance. Edging types available are concrete curbing, aluminum, steel, concrete bullet edgers, and plastic.